Fill in your contract information and electronically submit your contract - Simple and Easy! 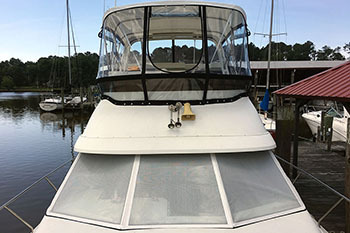 Coltons Point Marina offers canvas and upholstery services including boat canvas, upholstery, full enclosures, sail covers and much more! Professional estimates are available. A chance to save even MORE money! It may be cold now but spring is right around the corner. The marina is home to over 200 boats. As the saying goes "The Early Bird Catches the Worm (or Rockfish). As a result, please start thinking about "Springerizing" your boat NOW so we can have it ready for the trophy rockfish season, or the first family outing in the early spring! Click below for more details. Start making your "Springerization" plans now!! Get your canvas / upholstery repairs done now!!! Coltons Point Canvas and Upholstery. 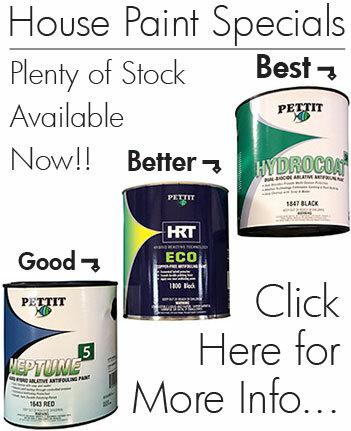 Make your boat the best looking one on the dock! Coltons Point Marina is a family owned and operated marina in Southern Maryland with a 50 year history of superior service. We're located minutes off the Potomac River in scenic and historic St. Mary's County, Maryland. This picturesque Southern Maryland marina features covered and uncovered slips for vessels up to 65 ft., convenient In & Out service, long term land storage for boats up to 30 tons, a concrete boat ramp, and unleaded and diesel fuels. Marina customers enjoy a peaceful atmosphere and amenities such as clean bath houses, on-site laundry, a shaded pavilion with picnic tables and barbeque grills, and a full ships store with beer, wine, sodas, and snacks. Captains have been bringing their vessels to Coltons Point Marina for experienced and reliable service and maintenance for over 40 years. Ask the locals who they trust with their boats and more than likely, they'll point you in our direction. Whether you're looking for a great home base for some of Maryland and Virginia's best fishing and boating, or in need of expert repair and maintenance for your boat, Coltons Point Marina has something for everyone.